The Balrog Award, often referred to as the coveted Balrog Award, was created by Jonathan Bacon and first conceived in issue 10/11 of his Fantasy Crossroads fanzine in 1977 and actually announced in the final issue, where he also proposed the Smitty Awards for fantasy poetry. The awards were presented for the first time at Fool-Con II at the Johnson County Community College in Overland Park, Kansas on April 1, 1979. The awards were never taken particularly seriously, even by those who won. The final awards were presented in 1985. The Professional Achievement Award was presented each year of the Balrog’s existence, with ties occurring in 1979 and 1982. 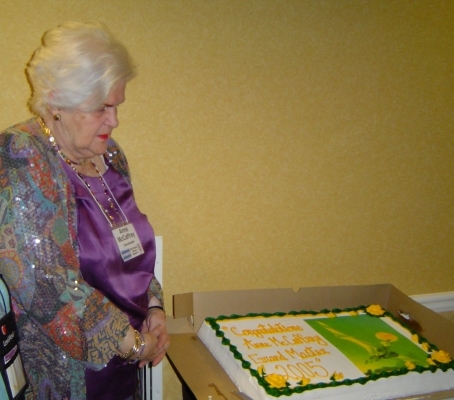 Anne McCaffrey was born on April 1, 1926. Her first published short story was “Freedom of the Race,” which originally appeared in 1953 in the penultimate issue of Science Fiction Plus, Hugo Gernsback’s last magazine. I included it in my anthology Wondrous Beginnings, which reprinted the first published short story by various science fiction authors. McCaffrey’s second story, “The Lady in the Tower,” didn’t appear until 1959. 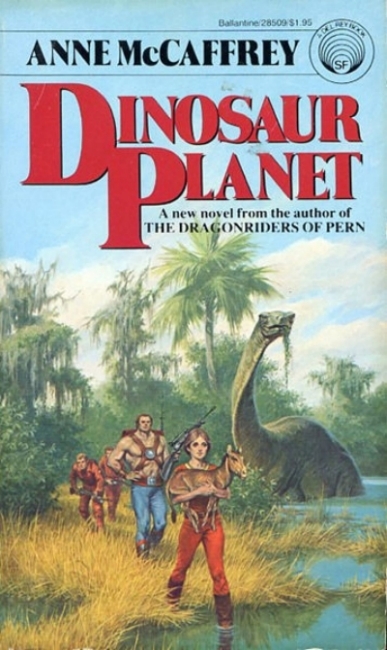 In 1967, McCaffrey began publishing the stories which formed her long-running Pern series. 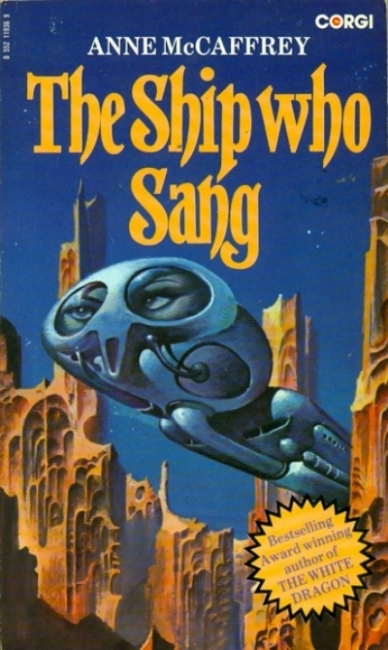 The first story, “Weyr Search” won the Hugo Award in 1967 and the follow-up story, “Dragonrider,” won the Nebula Award in 1968, making McCaffrey the first woman to win each award. These stories were eventually tied together for the novel Dragonrider, which led to a series which ultimately included more than more than 25 novels and has been continued after her death by two of her children, Todd and Gigi. I remember reading the words “Grinning like errant children, Lessa and F’lar crossed the kitchen courtyard and race up the steps to the Great Hall. The dragons on the fire-heights rose to their haunches, bugling their jubilation on this happy day while fire-lizards executed dizzy patterns in the Thread-free sky.” while curled up on my parents’ couch. 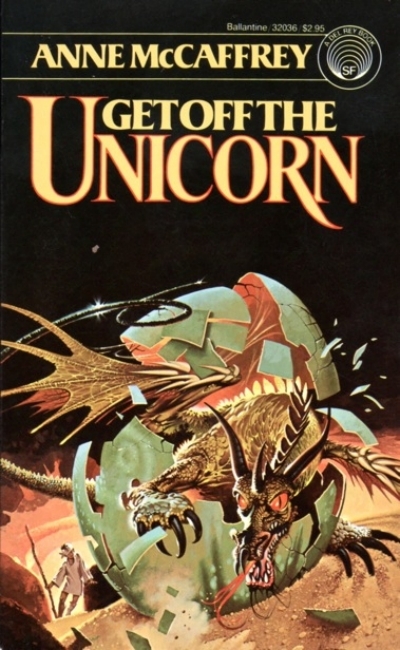 I closed the book (I had already worked my way through the indices) and was disappointed, not with the story, but with the fact that I had finished reading about Anne McCaffrey’s dragons and the story had ended. Of course, I was wrong. Even by then, Dragonsong and Dragonsinger had been published and I tracked them down, reading Dragondrums when it was published. And then came Moreta: Dragonlady of Pern and Nerilka’s Story. In those days, McCaffrey doled out dragontales slowly. In 1988, she finally gave me the book I had been wanting to read since I finished The White Dragon: Dragonsdawn told the story of the founding of Pern, answering many of the questions she had hinted at in the final chapters of her original trilogy and raising many more. In 2005, the Science Fiction and Fantasy Writers of America had decided to hold the Nebula Awards in Chicago and I found myself in the position of ombudsman. Officially the vice chair, it was up to me to make sure everything ran smoothly. 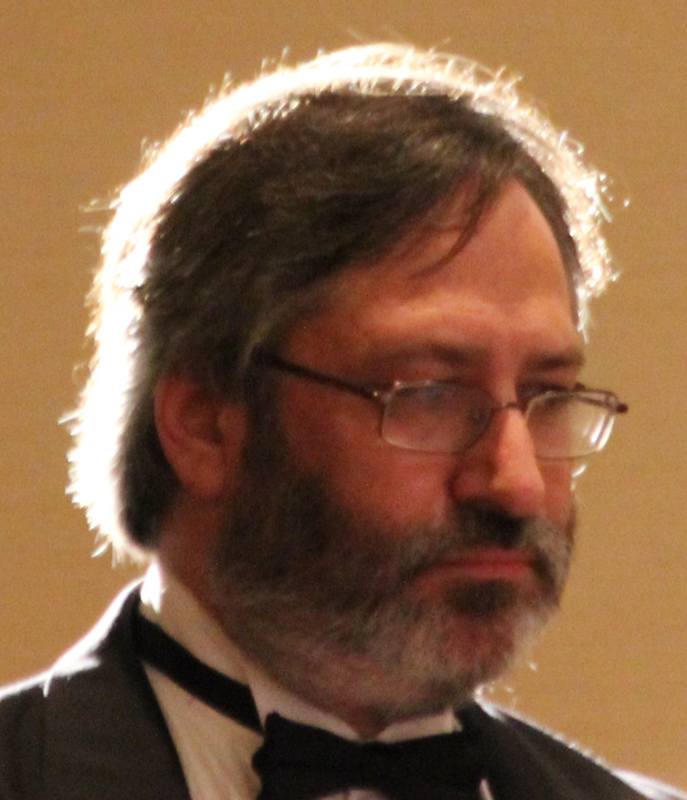 Although the hosting group gets to choose who will serve as toastmaster and keynote speaker at the Nebulas, the choice of grandmaster is the prerogative of the sitting President. Catherine Asaro informed us that Anne McCaffrey would be named Damon Knight Grandmaster. I added a note to my task list. My job now included the extremely pleasant chore of making sure everything went as smoothly as possible for Anne, her children, and grandchildren. I was in touch with Anne in the weeks before she flew to Chicago, making sure all the arrangements were made for her. When I final got to meet her, I introduced myself and she turned to her son, Todd, and asked him to bring down the item she had left on her dresser. Todd returned a few moments later with a bottle of Bailey’s Irish Cream which Anne gave me as a thank you. Later that night, I presented Anne with a cake which was frosted with the image of Michael Whelan’s cover for Dragonflight. Over the course of the weekend, my duties kept me quite busy. But I did hear a mundane who was staying at the hotel comment “I thought I just saw Anne McCaffrey in the elevator,” which was a pretty cool moment. On one of my brief excursions from the hotel, I was walking back with Pat Sayre McCoy and we saw Anne and Todd on the other side of the street. Anne was on a motorized scooter and she and Todd began to cross at a crosswalk, not realizing that the curb was cut on the side they had started from, but not their destination. Pat and I hurried into the street to make sure traffic stayed stopped and then helped Todd lift the scooter, with Anne still on board, onto the sidewalk on the opposite side. We needed centerpieces for the table, and I spotted a couple of dragon puppets. I arranged to buy several of them and we created the centerpieces…dragons, either blue or green, resting on a cottony gauze draped over mirrors. We presented one of the dragons to Anne at the banquet and we auctioned off the rest to raise money for the SFWA Emergency Medical Fund. The centerpieces were just a small way to acknowledge the new grand master. The cake and the centerpieces were not even my favorite way of honoring Anne that weekend. Before the banquet, I had approached each member of Anne’s family and gave them a small can with instructions. When Anne approached the podium to receive the Grandmaster Award and give her speech, her family withdrew their cans of Silly String, pointed them high into the air, and presented Anne with her very own Threadfall. Other authors considered for the Balrog for Professional Achievement included Stephen King, Manly Wade Wellman, Karl Edward Wagner, Gerald Page, Donald A. Wollheim, Donald M. Grant, C. J. Cherryh, Michael Bishop, Ursula K. Le Guin, Fritz Leiber. Grant had tied with J.R.R. Tolkien in the category the previous year and Cherryh and Wollheim had been nominated in the first year as well. I hadn’t realized that McCaffrey was in her 40s when she hit her stride. I suppose she was one of the last writers to truly be a Campbell product. One of my very favorite writers.